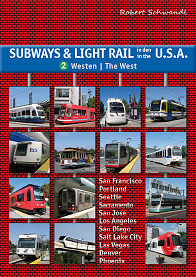 Click here for full San Francisco Bay Area rail map! San José is located about 75 km south of San Francisco, at the southern tip of the San Francisco Bay. With 930,000 inhabitants, it is the third largest city in California. 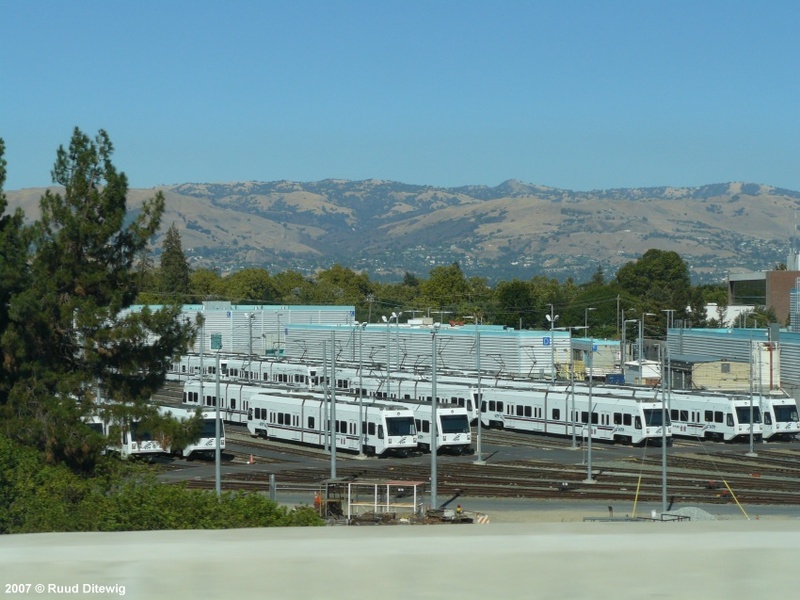 The Santa Clara Valley (Silicon Valley) includes San José's neighbouring cities like Palo Alto, Mountain View, Santa Clara, Milpitas, Campbell. The Santa Clara County is home to some 1.8 million people. The Winchester branch is planned to be extended to Vasona Junction, with one intermediate station at Hacienda (2.5 km). The Alum Rock branch is planned to be extended to the Eastridge Transit Center. Light rail will operate primarily in the center of Capitol Expressway with elevated track structures crossing Capitol Avenue, Story Road, and Tully Road. There will be two intermediate stations: Story Road, Ocala Avenue (optional).